Judy Patricia Elliott Leonard, 64, of 4884 Foster Rd., Yanceyville died Wednesday, July 11, 2018 at her home. Born in Washington County, TN, daughter of the late Richard Arnold Elliott and Mary Miranda Pressell Elliott; in addition to her parents she was preceded in death by her husband Don Leonard. 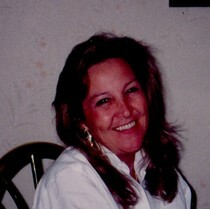 Mrs. Leonard was a retired Flight Attendant with US Air with over thirty years of service and was of the Baptist faith. Surviving are one son Chad Leonard of Virginia; two daughters Tamara Leonard of South Carolina and Kimberly Thomas of North Carolina; one brother Richard Elliott of Yanceyville; one sister Geraldine Davis of Indiana, four grandchildren Addison, Sydney, Morgan, Drew, Josh, and Bryan . Funeral services will be held 2 P.M. Sunday, July 22, 2018, at Harrelson Funeral Services Chapel. The family will receive friends one hour prior to the service (1 P.M. -2 P.M.) at the funeral home. Harrelson Funeral Services of Yanceyville, N.C. is privileged to be serving the Leonard Family. Tammy Thompson, Chad Odell Leonard and I lost our mom. Anyone who knows me, knows that my biological mom abandoned me at a very young age. But Judy Leonard, came to my rescue. I do not have thoughts in my younger years of a time without her. She took me into her family and raised me as her own child. She NEVER treated me as any less. I am SO BLESSED to have had this women raise me. She not only gave me a mom who loved me beyond measure, she gave me a second dad and a sister and a brother. Blood did not make this bond! Love did! Mom, I love you! I thank you for everything. Thank you for picking me to join your family.